Maj. Laurens Vijge, a Royal Netherlands Air Force (RNLAF) pilot, takes flight in the F-35A Lightning II Dec. 18, 2013, at Eglin Air Force Base, Fla. Vijge became the first RNLAF pilot to fly the joint strike fighter and the flight marks the first sortie for the RNLAF at Eglin. U.S. Air Force photo by Samuel King Jr. The Netherlands became the second partner country to operate the F-35A Lightning II, when Maj. Laurens J.W. Vijge of the Royal Netherlands Air Force (RNLAF) lifted off from Eglin Air Force Base, Fla., on Dec. 18, 2013. It represents a milestone for the beleaguered F-35 program, which has already seen British pilots fly the F-35B from the USS Wasp. Moments after his U.S. Air Force flight instructor took off, Vijge’s F-001 took to the skies. F-001 is one of the two Dutch F-35A test aircraft based at Eglin Air Force Base. “It was incredible; not only was my first flight in the first Dutch F-35, but I also got to fly this historic mission with Lt. Col. Matthew Renbarger [commander of the 58th Fighter Squadron] as my wingman,” said Vijge. Vijge is an experienced F-16 Fighting Falcon pilot who has racked up more than 2,500 flying hours. “It was truly amazing to start this day knowing that a lot of people, both in the U.S. as well as back in the Netherlands, have worked very hard to make this possible,” said Vijge. Members of the Royal Netherlands Air Force (RNLAF) watch as their F-35A Lightning II prepares to taxi out for its first flight Dec. 18 at Eglin Air Force Base, Fla. Maj. Laurens Vijge became the first RNLAF pilot to fly the Joint Strike Fighter, and the flight marks the first sortie for the RNLAF at Eglin. U.S. Air Force photo by Samuel King Jr.
Vijge is the training lead for the RNLAF F-35 Integrated Training Center, and he undertook his first flight after 210 hours of classroom training and 13 simulator flights. “The jet handles great and is very easy to fly – in fact, it’s actually easier to fly than the simulator,” Vijge said. “I could not have been better prepared than I was for this flight, and it’s all thanks to the hard work and dedication of people working in the F-35 Academic Training Center,” added Vijge. The U.S. Air Force and RNLAF are working together at Eglin Air Force Base, and have been using each other’s aircraft for the training of their personnel. “This first flight marks the start of an essential training program our pilots require, and it is a great example of the solid partnership between the Royal Netherlands Air Force and the U.S. Air Force,” said Lt. Col. Albert J. 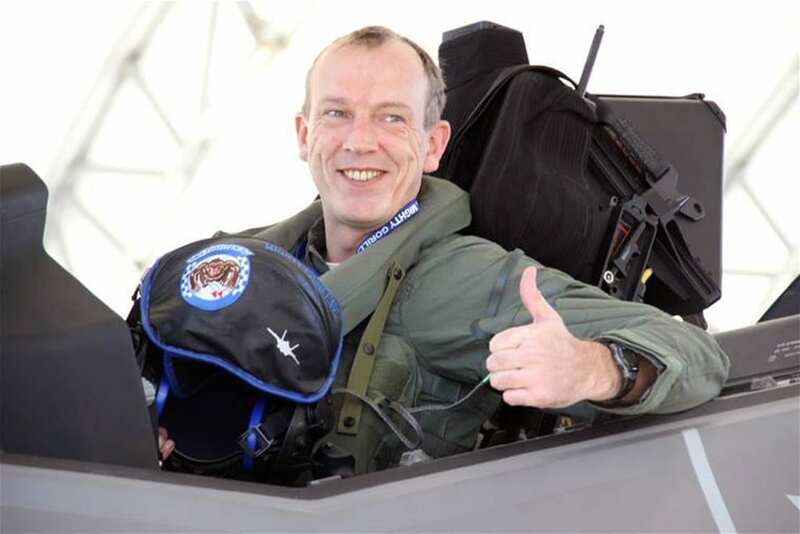 De Smit, the Netherlands senior national representative for U.S. F-35 operations. The F-35 has been designed as a cooperative program. Besides replacing aircraft in the U.S. Air Force, U.S. Marine Corps, and U.S. Navy, the F-35 will also replace an array of aircraft used by at least 10 countries. “The F-35 OT&E [Operational Test and Evaluation Center] will be a cooperative effort with the United States services and the United Kingdom,” De Smit said. 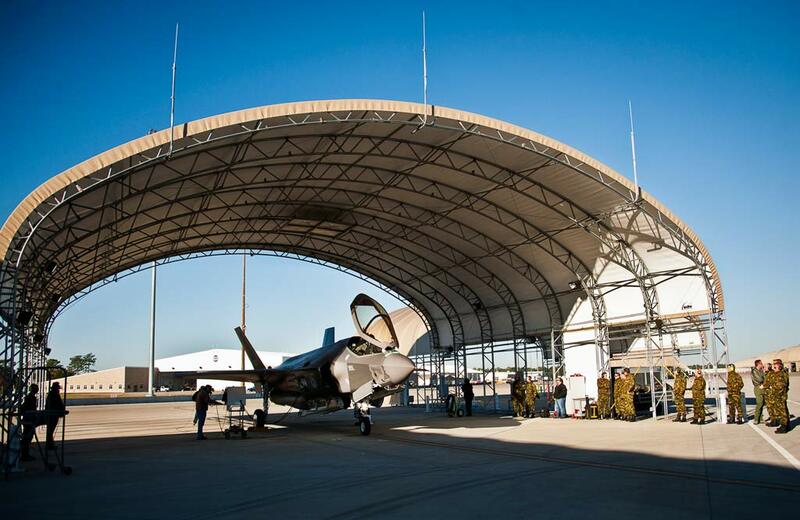 “This is another example of the cooperative nature of the F-35 program,” De Smit concluded.